A rare piece of Apple history will go on sale later this month when Christie's auctions Apple's first product, the Apple I personal computer, for an estimated $160,000-$240,000 on Nov. 23. The Apple I, acknowledged by many as the first "personal computer," was Apple's first product offering. Approximately 200 units were hand-built by Apple cofounder Steve Wozniak and priced at $666.66. With a completely pre-assembled motherboard, the computer helped to spark the home computer revolution when it was released in July 1976. High-end auction house Christie's is selling a "superb example" of the Apple I, with an estimate ranging from $160,000-$240,000. Even at the low end of the estimate, the computer will sell for over 60 times its original cost, approximately $2,500 after adjusting for inflation. Apple I units have become quite the collector's item, with an estimated 30 to 50 still in existence. In 1999, an Apple I reportedly sold for $50,000. 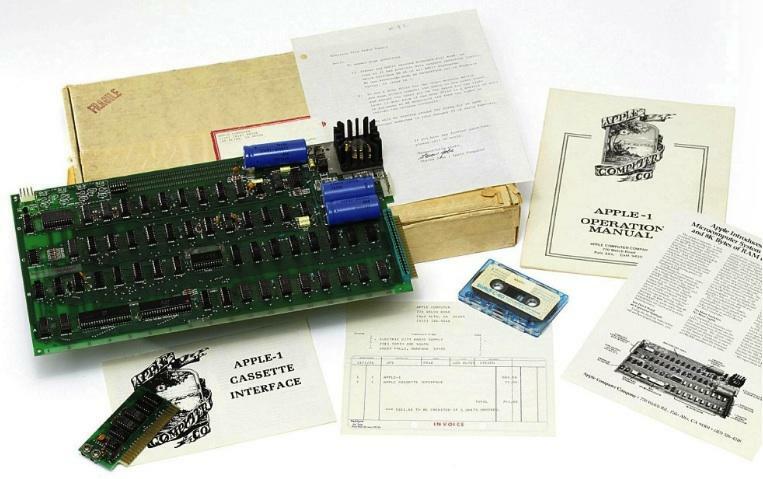 The auction includes the Apple I in its original shipping box and the Apple I cassette interface, as well as a signed letter from Apple cofounder Steve Jobs. The return address on the original packaging shows that the unit shipped from Jobs' parents' house. Christie's will sell the Apple I as part of a larger Nov. 23 London auction including a cypher machine, a first edition presentation copy of a publication by Charles Babbage, and a variety of other "valuable printed books and manuscripts. Apple's unique role in the history of computing and the loyal following it has acquired have driven sales of pieces of Apple history before. In October, the owner of The Mac Museum of New Jersey sold a large collection of vintage Macs on eBay for $10,000. In 2008, an early engineering worker at Apple auctioned off the company's original trade show sign and Wozniak's toolbox.